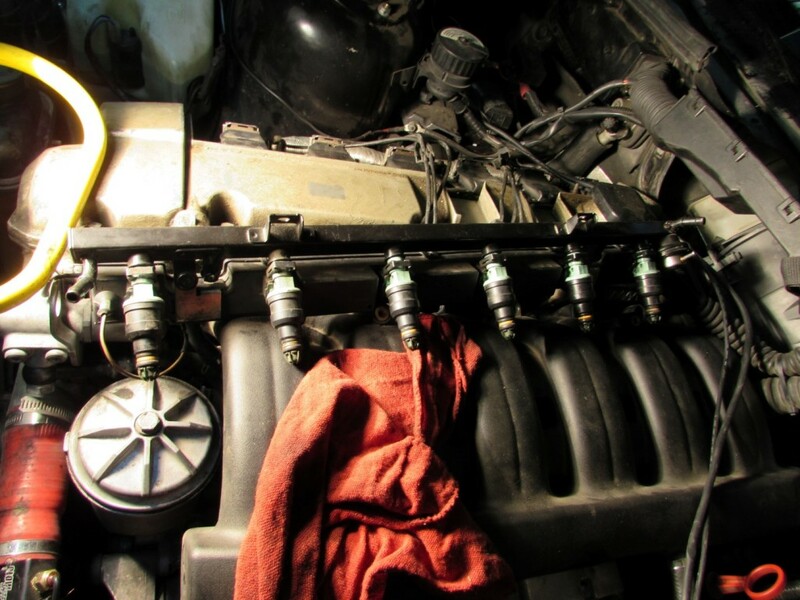 This guide will cover the replacement of the fuel pressure regulator, as well as fuel injector replacement and rebuilding for BMW E36 3 Series vehicles. There are a couple of parts you will need depending on your objectives. 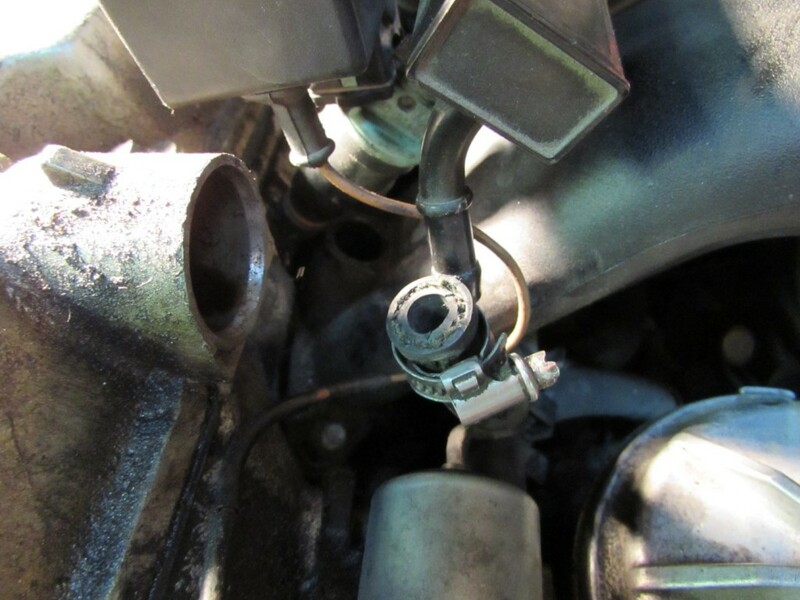 Fuel pressure regulator 13531436110 (this should work with obd1 325’s and 95 M3’s. Click here to see which modules this regulator will work with. 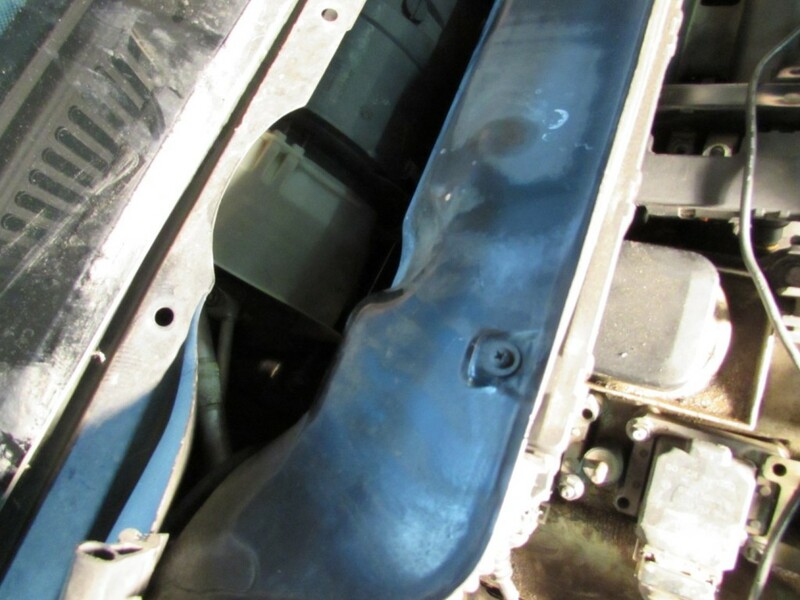 Start by removing the plastic valve cover and fuel rail cover, via 4 8mm nuts. 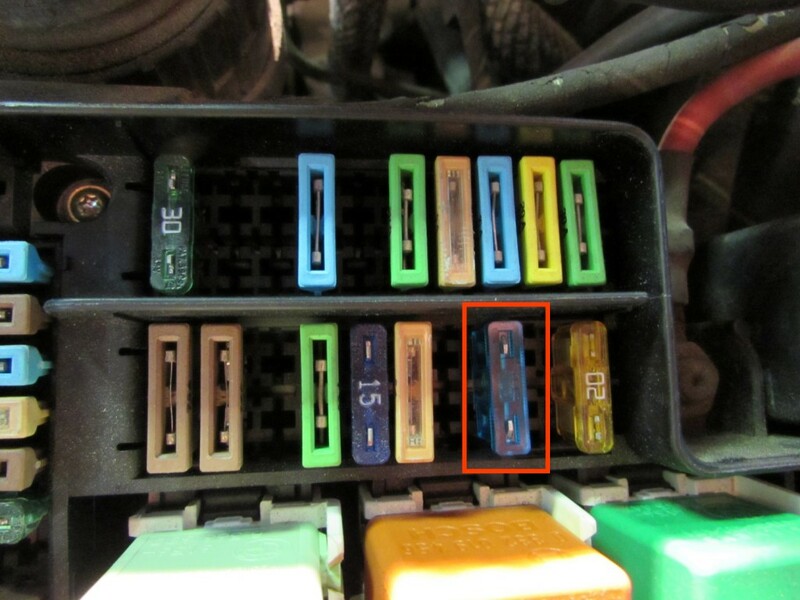 Start the car, than proceed to remove fuse #18 (circled below) to cut power to the fuel pump, let the engine die. Continue to crank the engine several times to remove any remaining fuel pressure. The car should no longer start while cranking. 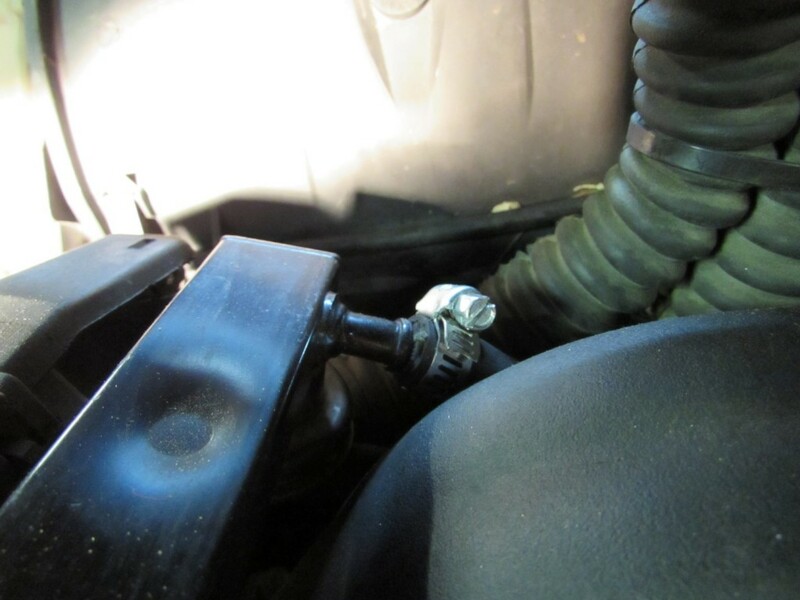 Remove the gas cap, to aid in the release of any remaining fuel pressure. 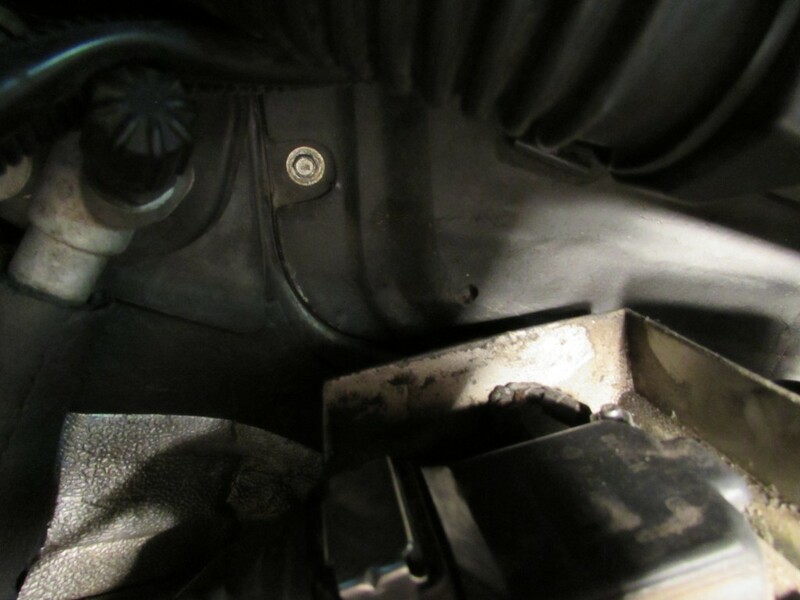 Remove the two bolts securing the fuel rail to the intake manifold. They are are either 8mm or 10mm. 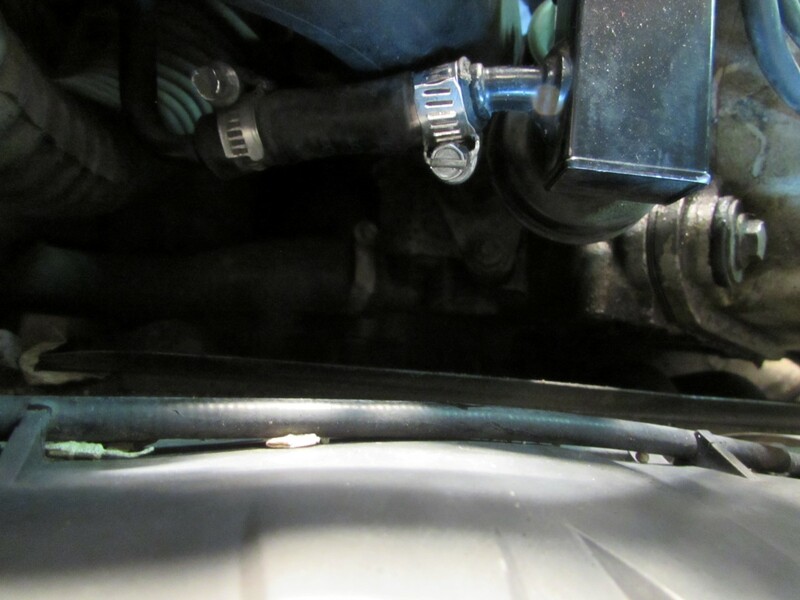 Disconnect the fuel return line from the front of the fuel rail. BMW uses one time use clamps. 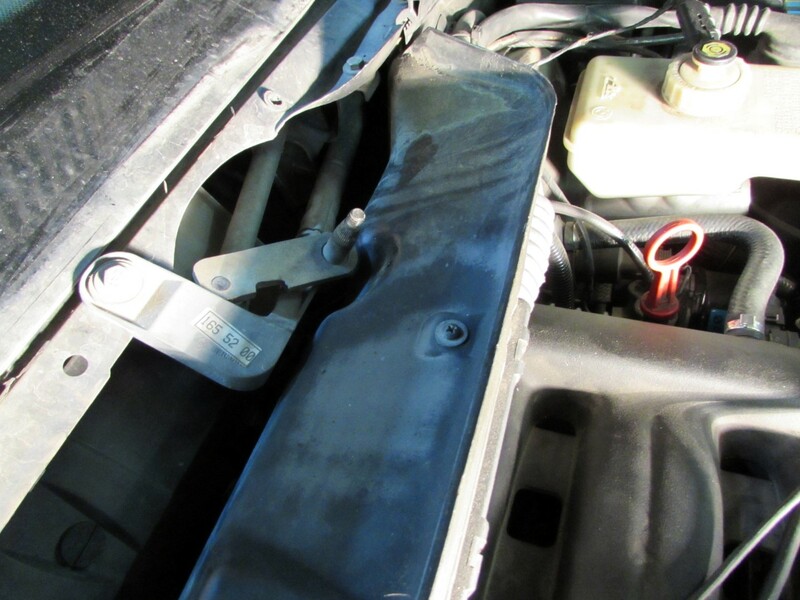 You can probably get away with reusing them, however, given the chance of fuel leaking in your engine bay, replacing these clamps with new units is advised. 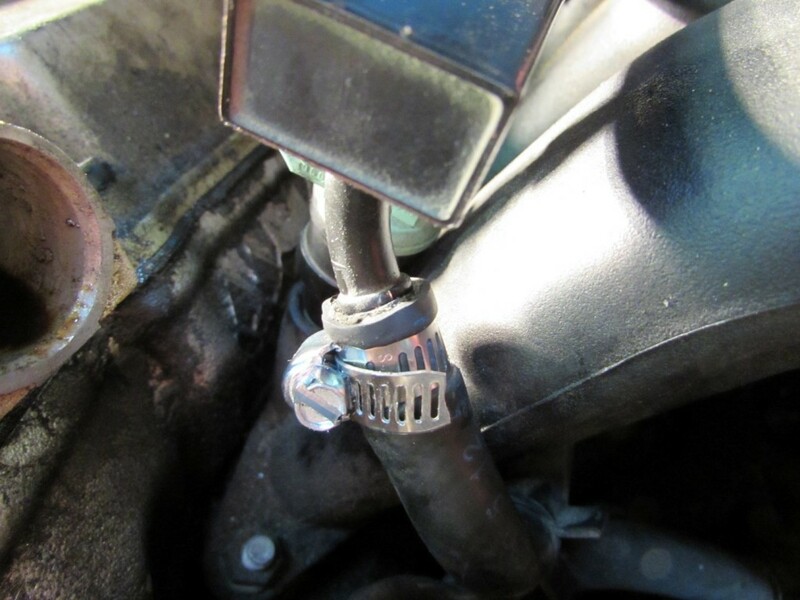 The special bmw hose clamps are not required, replacement can be found at any auto parts or hardware store. Have a rag ready to catch any spilled fuel, especially if working with a hot engine. 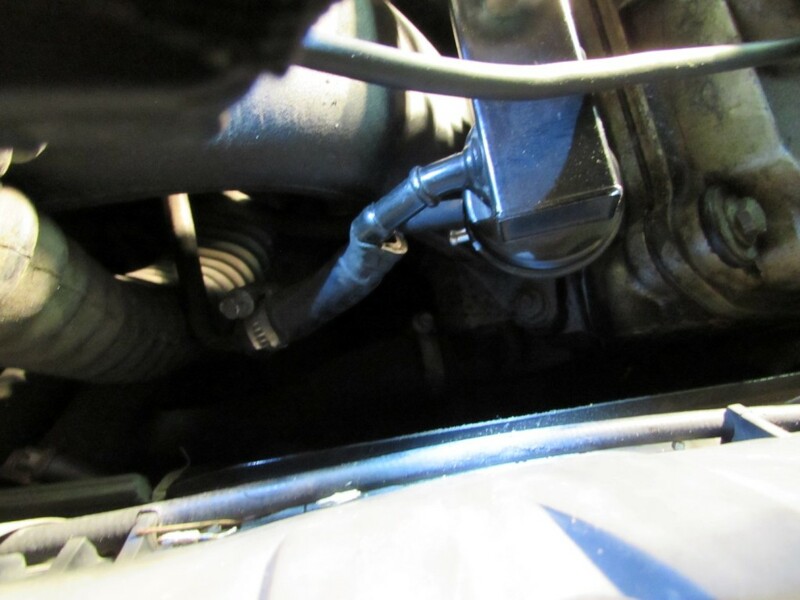 The rear fuel line is hard to access, it’s possible to disconnect as is, however installation is next to impossible with removing the heater core cover. 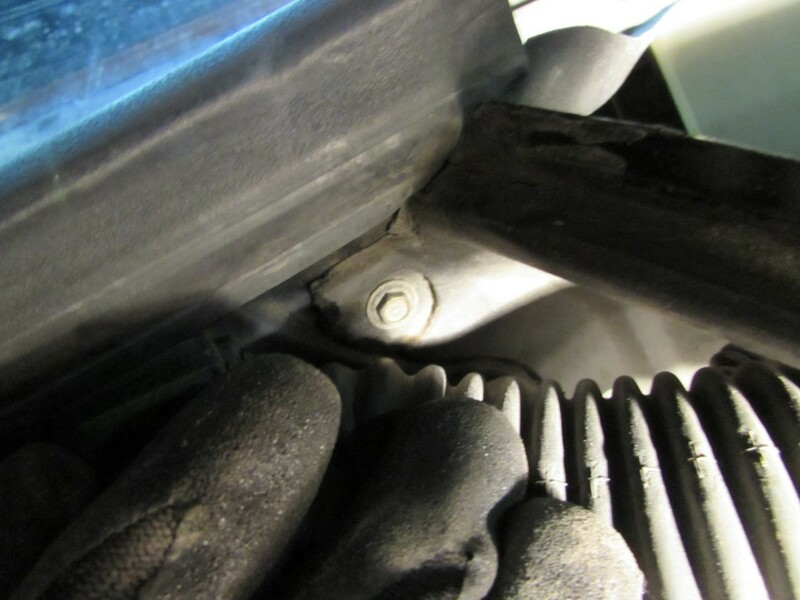 Save yourself the aggravation now and later by removing the heater cover to begin with. The picture below shows the limited access to this line. 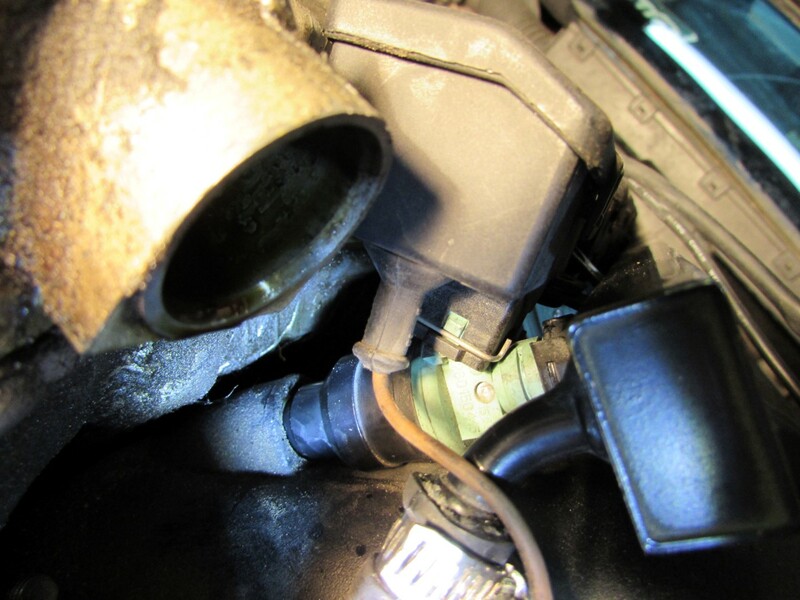 BMW again uses a special one time use hose clamp, this clamp has already been replace on this vehicle. 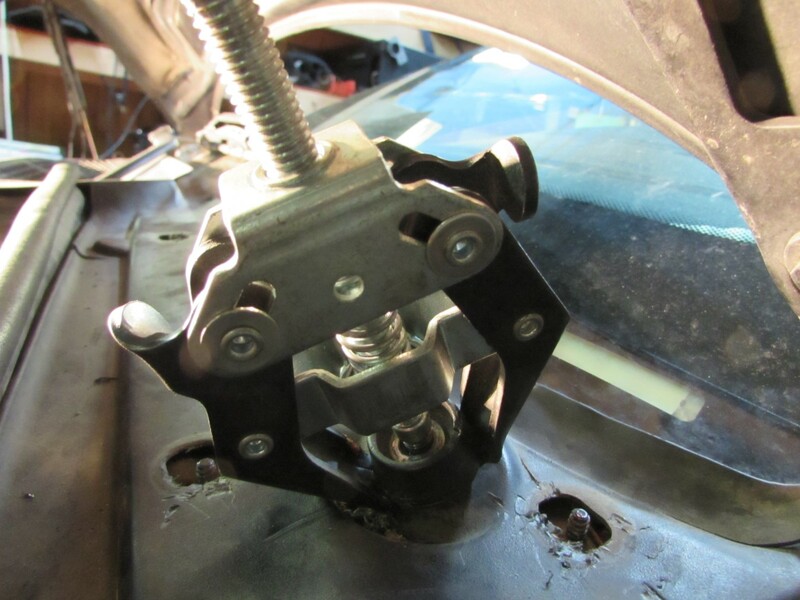 Depending on the orientation of this clamp, it may not even be possible to remove it with out first removing the heater core cover. You’ll first need to remove the windshield wipers. Remove the plastic covers to expose the 13mm nuts. Remove one nut for each wiper blade. 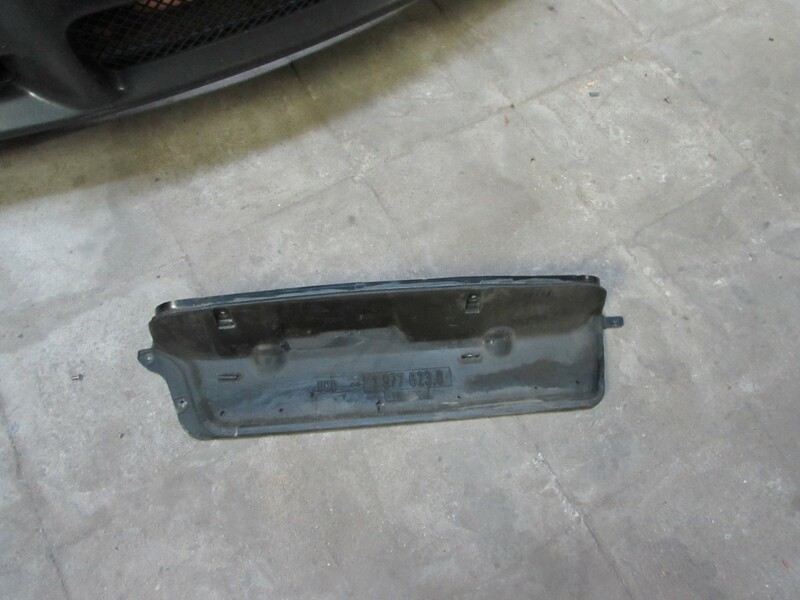 You’ll also need to remove the plastic reatiningg clips for the windshield cowl. 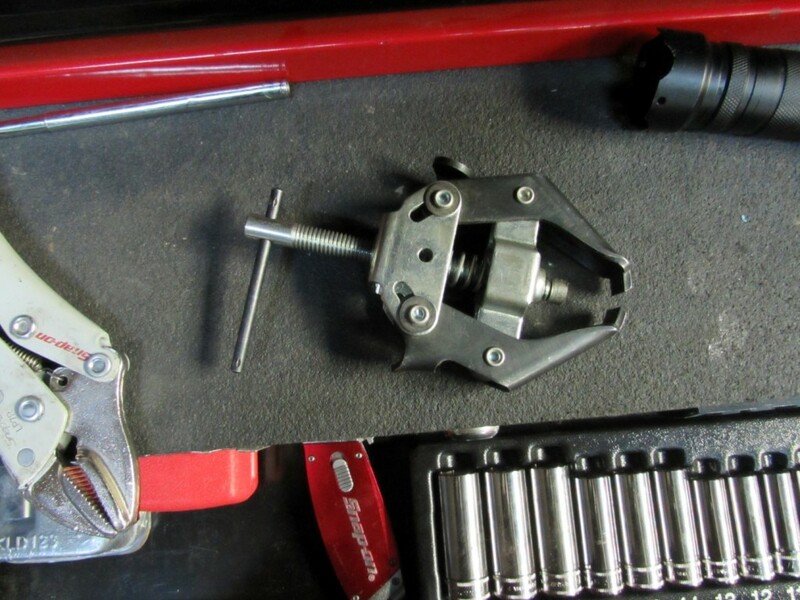 Here is where are heavy duty battery terminal puller comes in handy, in addition to it’s intended purpose. you can get away with a pry bar or flat head, you may even have luck pulling on it by hand while wiggling back and forth. Another view of this tool. 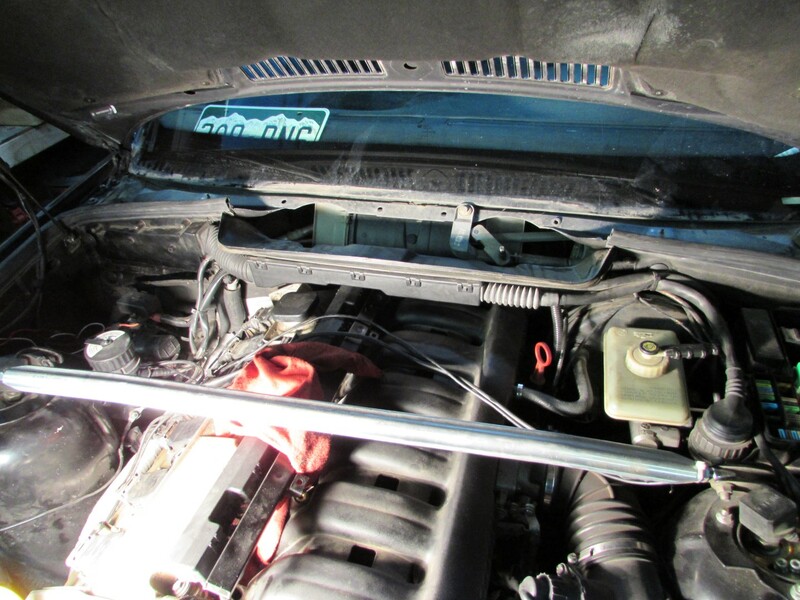 With both wiper arms removed, and the six plastic retaining clips removed, we can now remove the windshield cowl. The next step is to remove the two Philips screws that attach the wiring harness to the heat core cover. You’ll need to remove the 3 7mm bolts that secure the heat core cover to the firewall. Located in the pictures below, careful not to drop these while removing. A lot more room to work with. 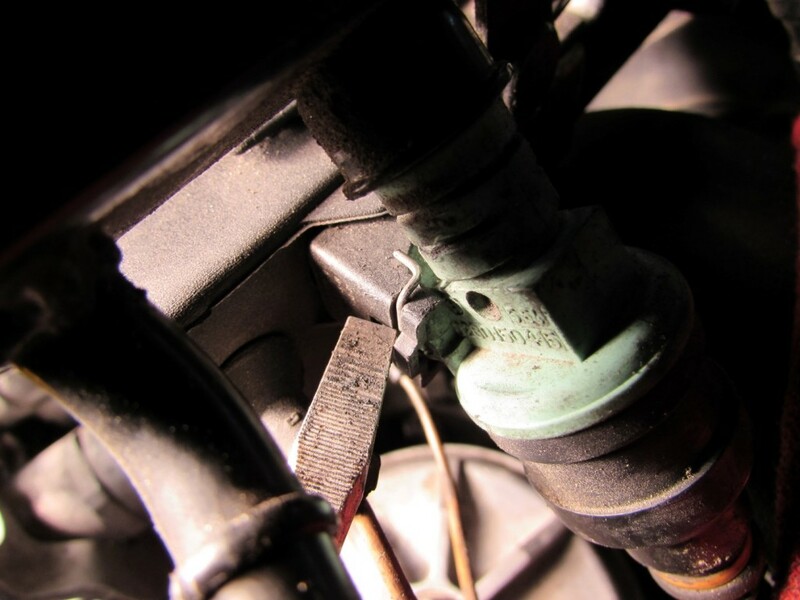 Disconnect the fuel line #1, be ready with a rag to catch the excess fuel. Finally disconnect the fuel pressure vacuum line #2. 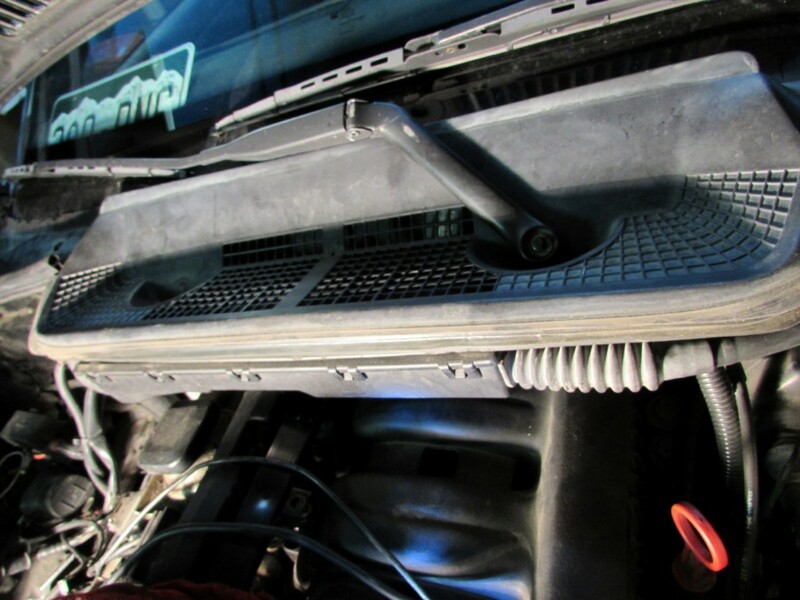 We can now remove the fuel rail, gently wiggle the whole rail away from the cylinder head. 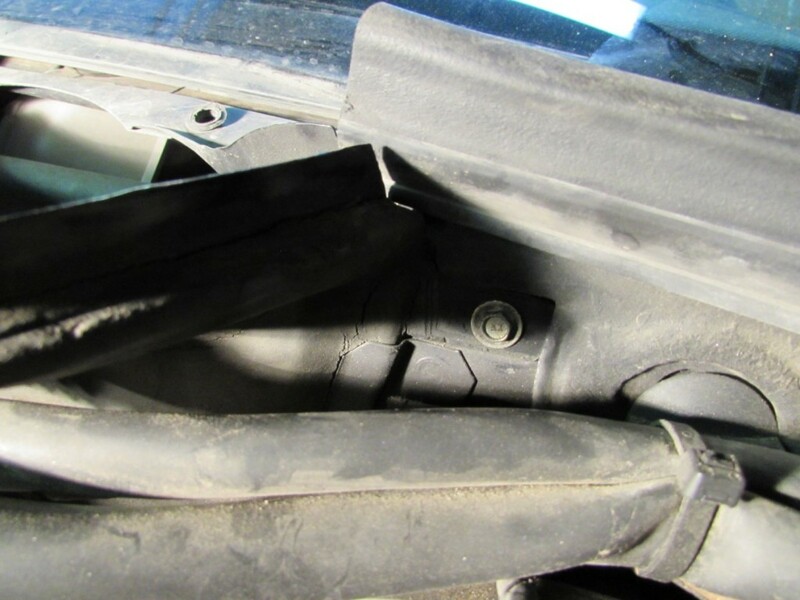 Be careful not to bend the fuel rail as it’s fairly fragile. 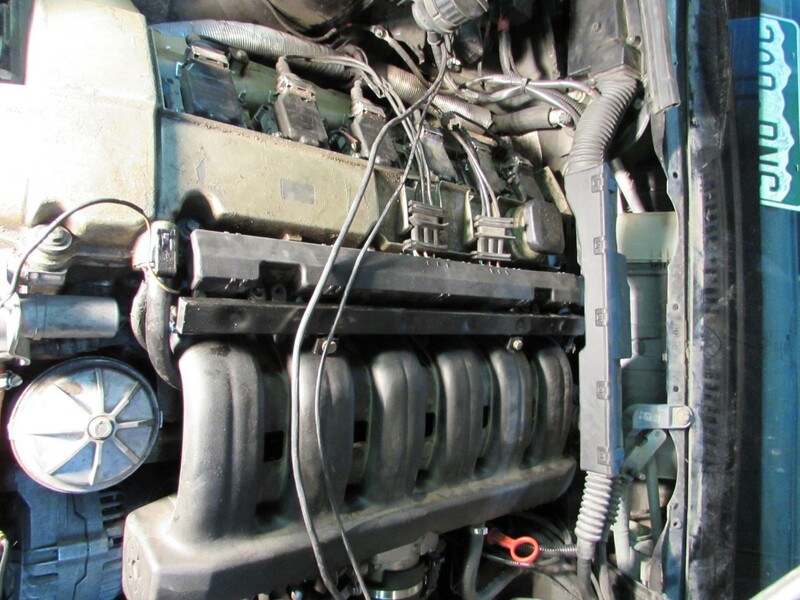 It might take a little bit of elbow grease to free the injectors from the cylinder head. 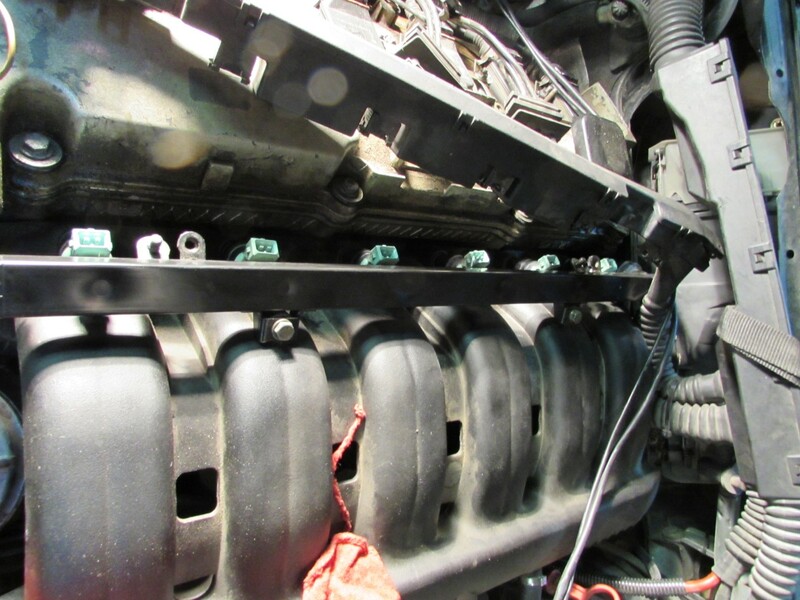 With the injector rail and injectors removed, we can proceed to remove their electrical connections and free the rail of any remaining ties to the engine. 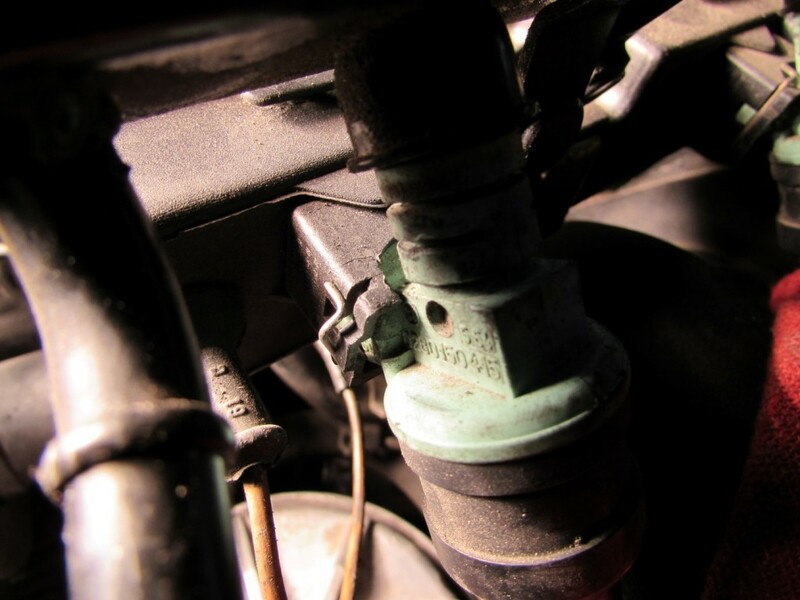 If you are only replacing your fuel pressure regulator, commonly referred to as an FPR, it is still advised to remove the rail from the remaining electrical connections to ensure proper sealing of the injectors upon installation. We can now remove the electrical connections from the fuel injectors and free the rail. 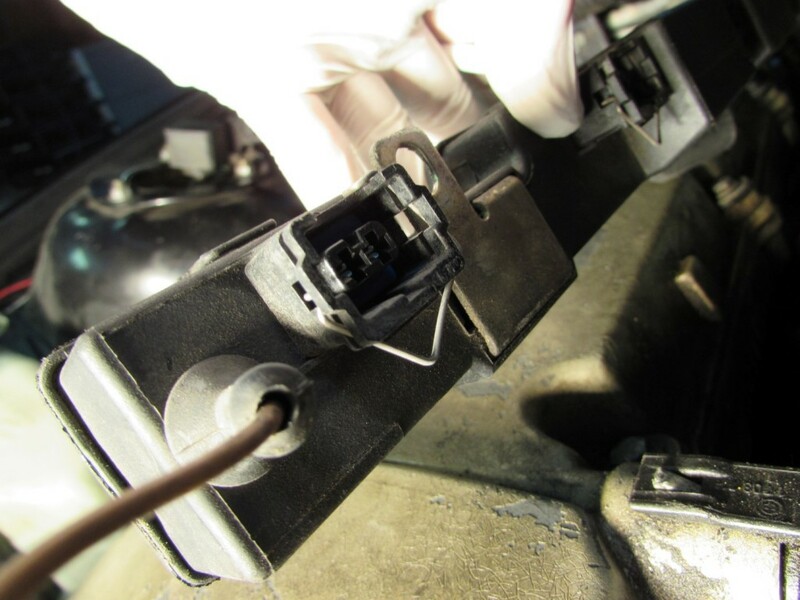 In the picture below you can see the wire band securing the injector the it’s electrical connection. With the aid of a flat tip screw driver, pry these retaining clips back with out fully removing them, making installation a breeze. You need to pry one side down just a tad bit further than the next picture show in order to release the injector. 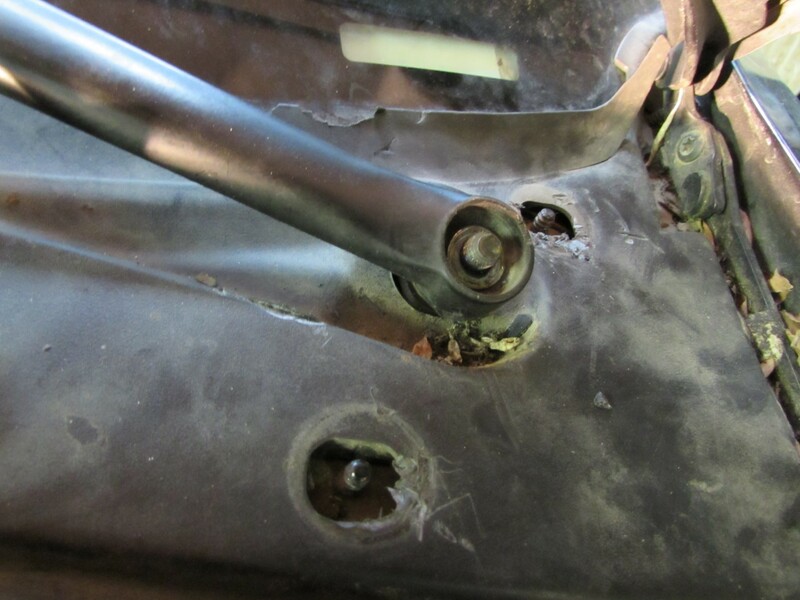 With all six retaining clips dislodged we can separate the electronic harness away from the fuel rail, and remove the fuel rail from the vehicle. 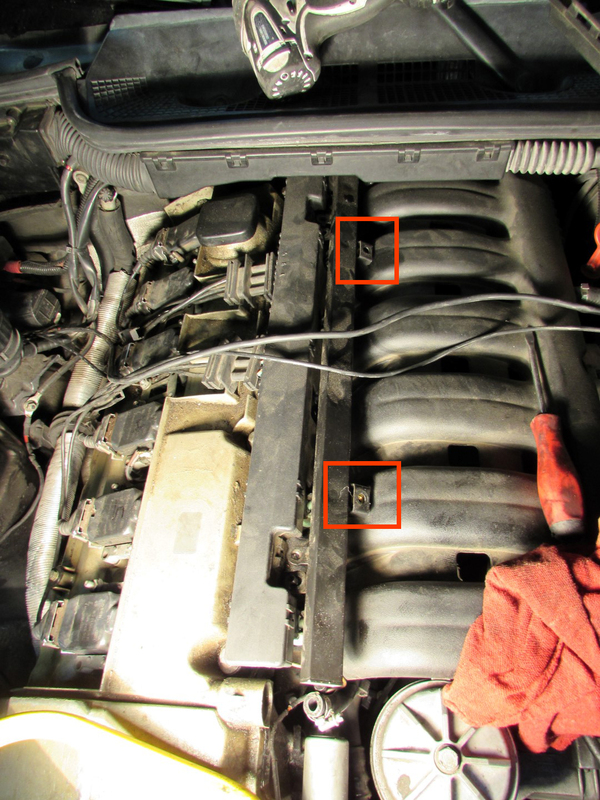 If you’re just replacing your fuel pressure regulator, you do not need to remove the injectors from the rail. 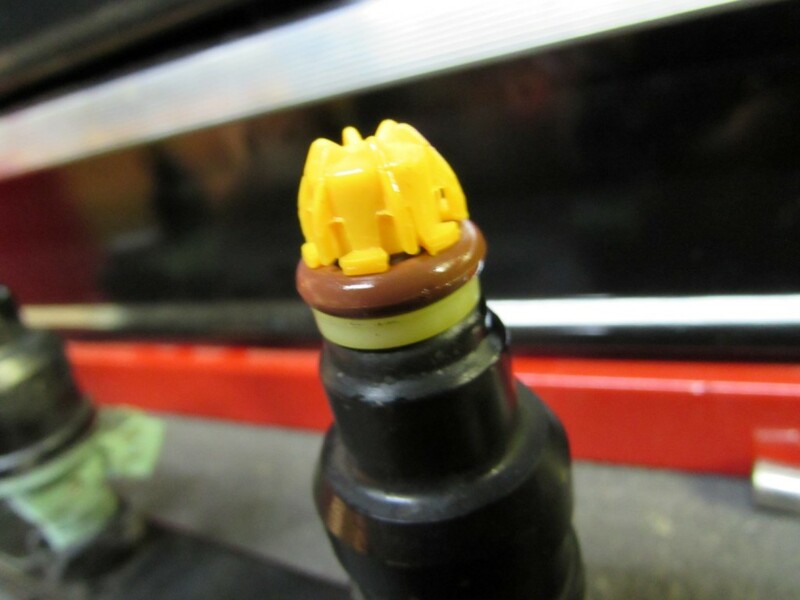 However now is a good time for a visual inspection, and to make sure they are still properly seated in the fuel injector rail. 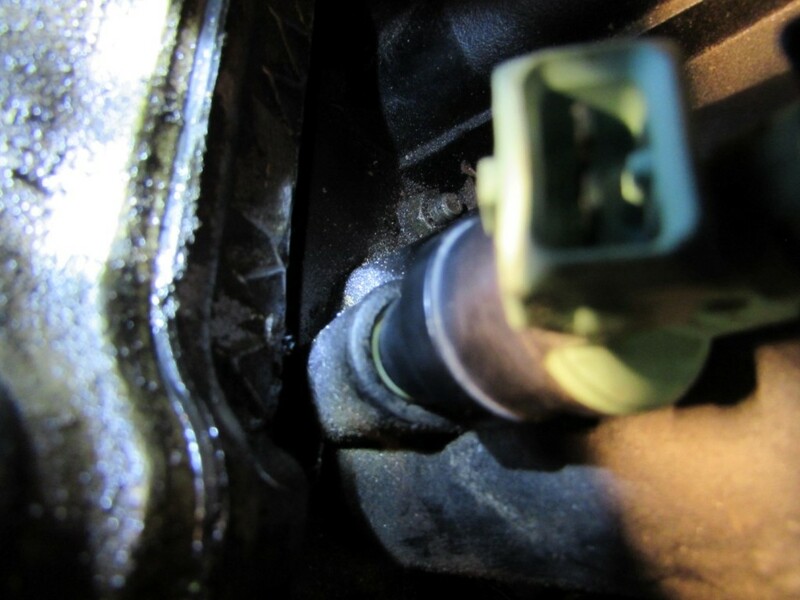 With the fuel rail removed from the car, we can now remove the injectors from the rail, by removing their black metal retaining clip, a small flat head or your hands will work for this. 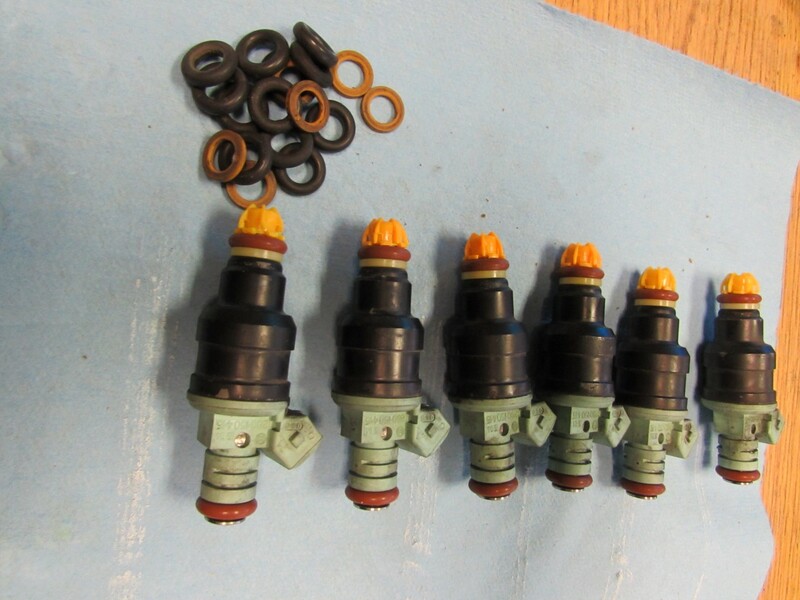 Injectors removed and ready to be rebuilt and cleaned. 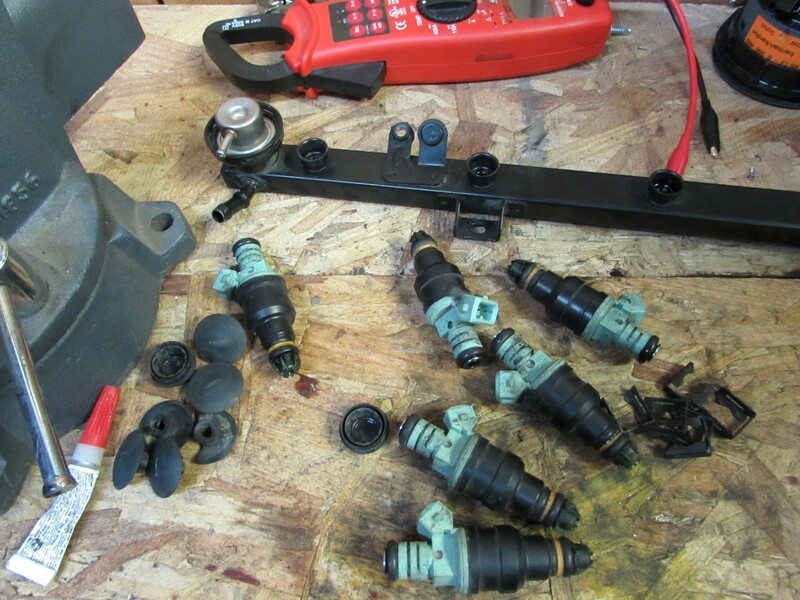 At this point you could send your injectors away to be professionally rebuilt, cleaned, and flow tested. There are also several less costly and effective solutions you can do at home. We also sell a injector rebuild kit in our store, link. Support the people who bring you these guides! 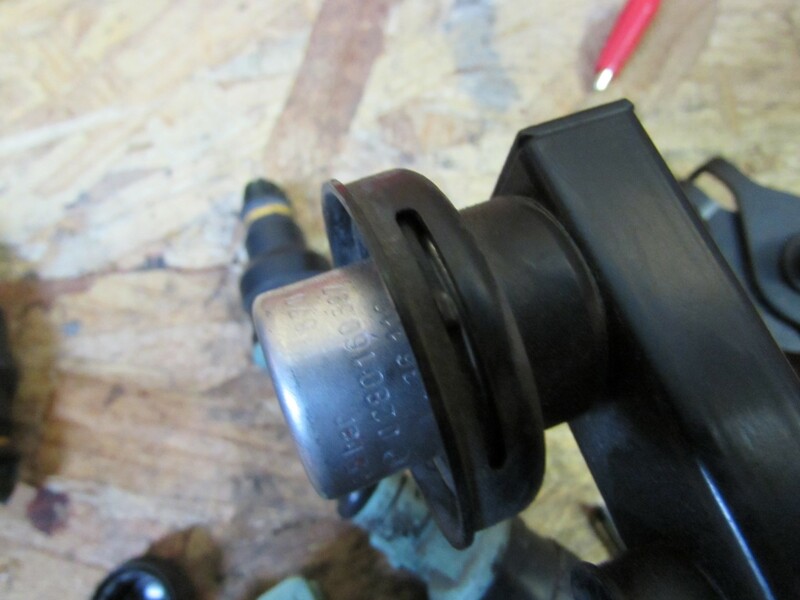 If you’re replacing your fuel pressure regulator, you’ll need a pair of snap ring pliers. 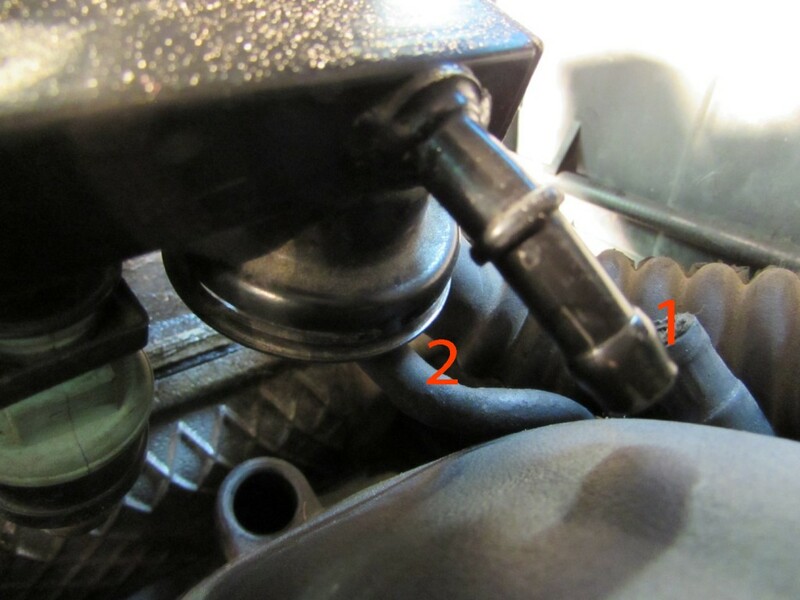 The fuel pressure regulator and retaining circlip. 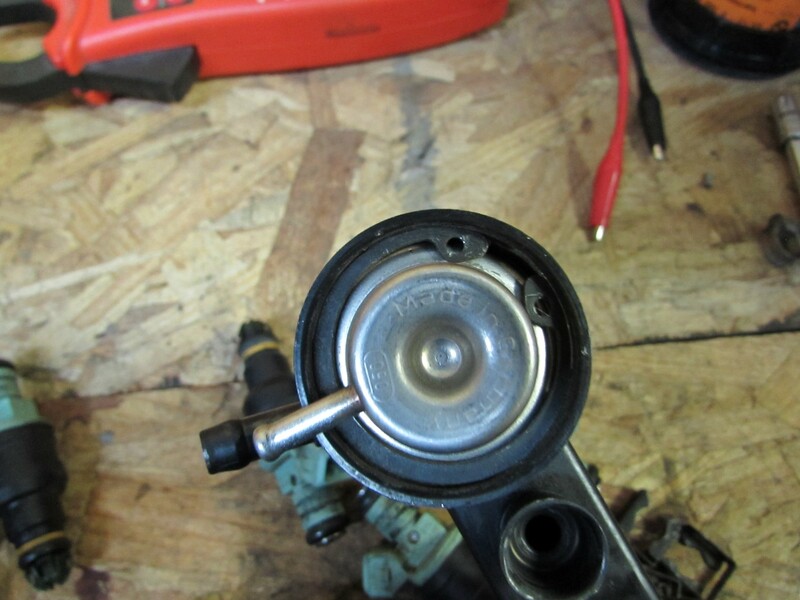 When re installing the new fuel pressure regulator, be sure the circlip is properly seated, you can check by looking for the tab extruding from the retaining housing cut away. 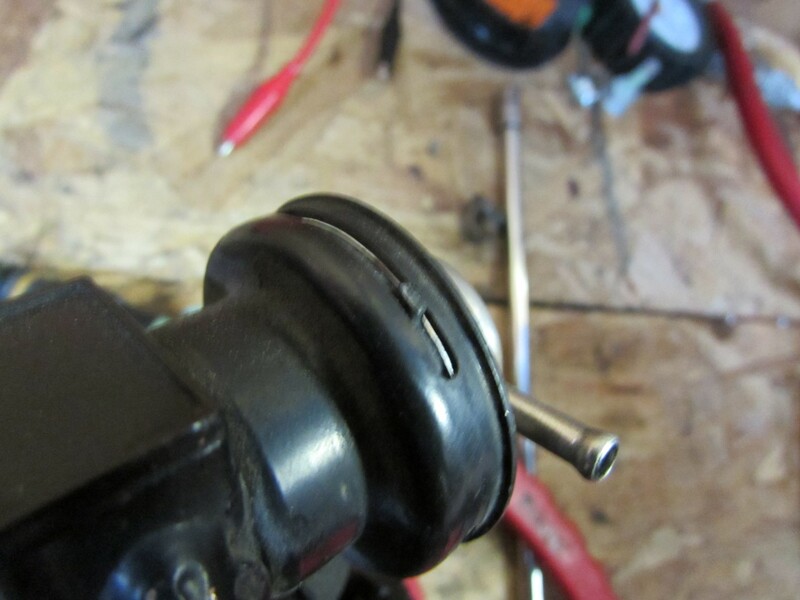 For re-installing the pintle caps I used a 12pt socket. I forget which size in retrospect. Find a metric socket that fits snuggly as shown in the picture. 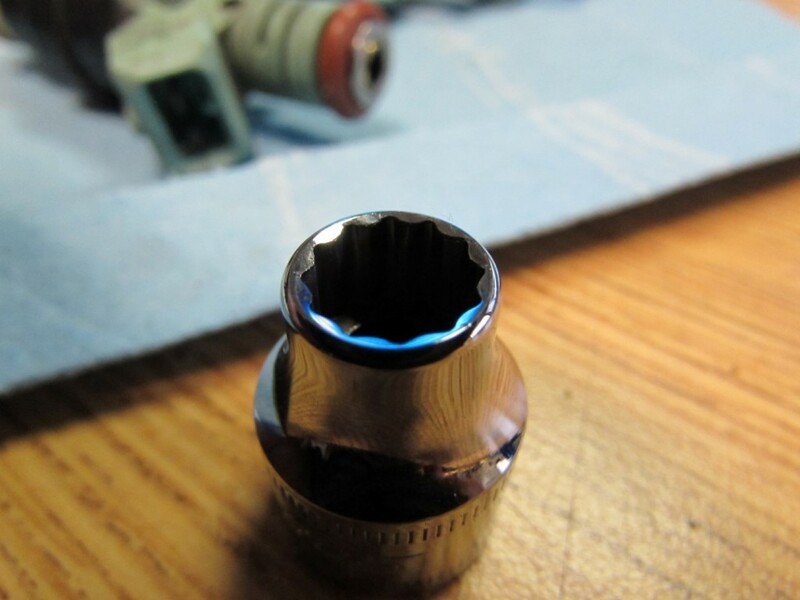 Use your heat gun to warm the pintle caps, you only need a few seconds of heat other wise you will melt the cap. the socket aids in pushing the new caps in straight and protects them from damage in the process. Old injector spacers and o-rings, as well as the rebuilt units. 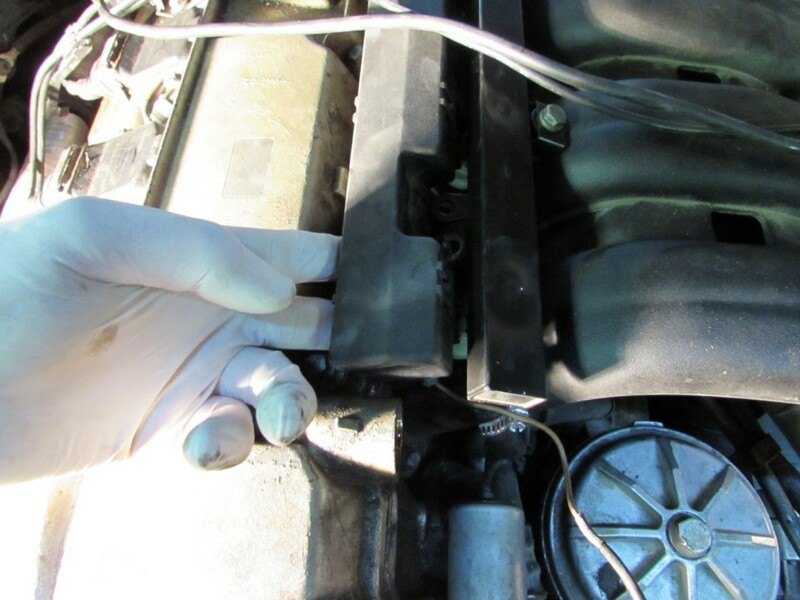 Before re installing the o-rings back into the fuel injector rail, light grease the o-rings to aid in installation. I sprayed some lubricant on a towel, than wiped down the e36 m3 injectors o-rings. 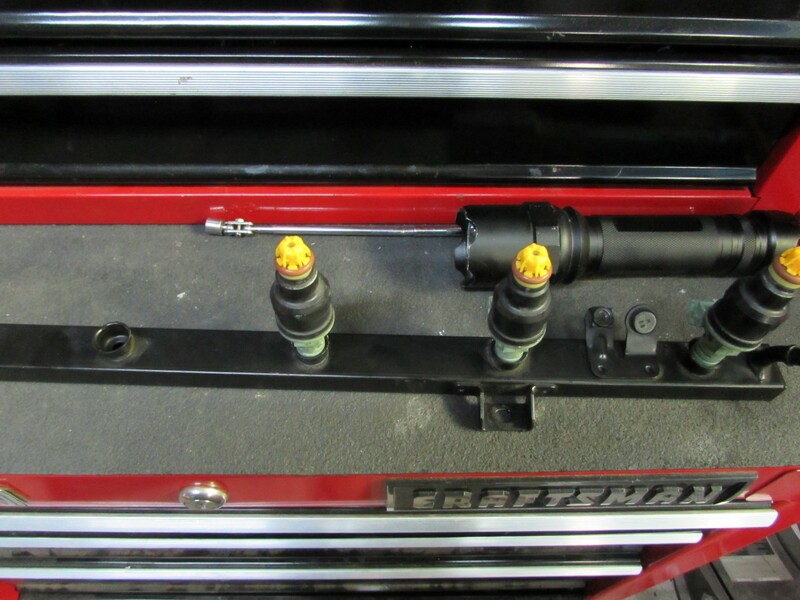 Re-installing the injectors to the rail, try to push them in as straight as possible. Never secure the rail in a vise. Re-install the injector rail. 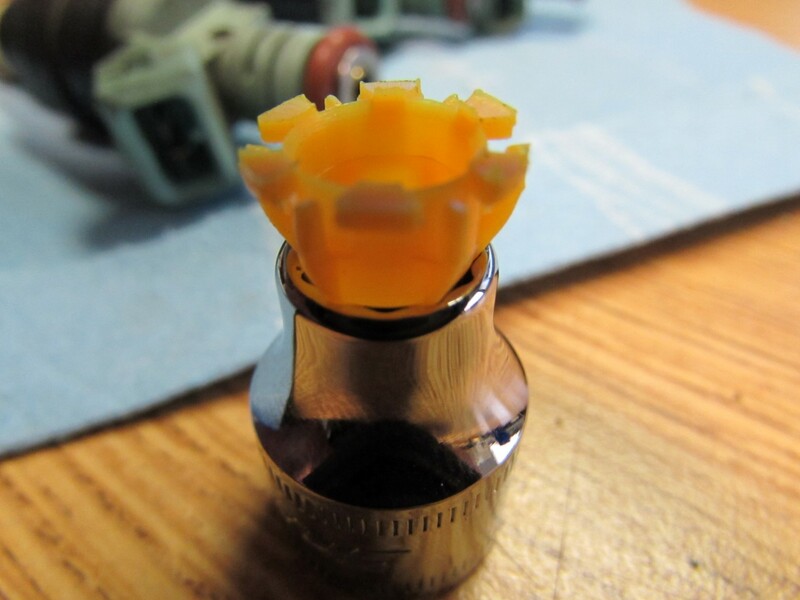 Use caution while guiding the injectors into their holes, to avoid damaging the pintle caps. 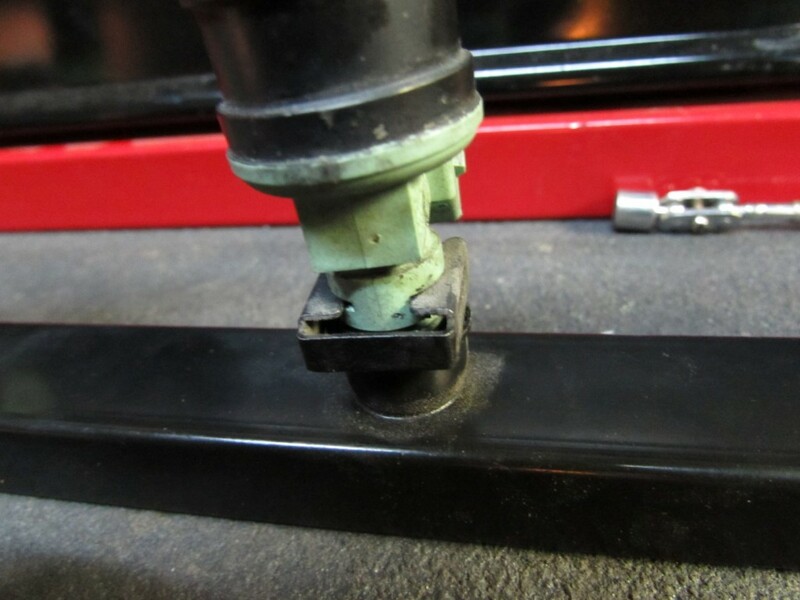 Try to apply even pressure over the rail while seating the injectors into the cylinder head, you don’t want to bend the rail. The rail fitted into place and secured. Check that each injector is fully seated into the head with a flashlight. Then secure the rail. Affix the fuel return line to the front of the fuel rail. I used a new hose clamp. 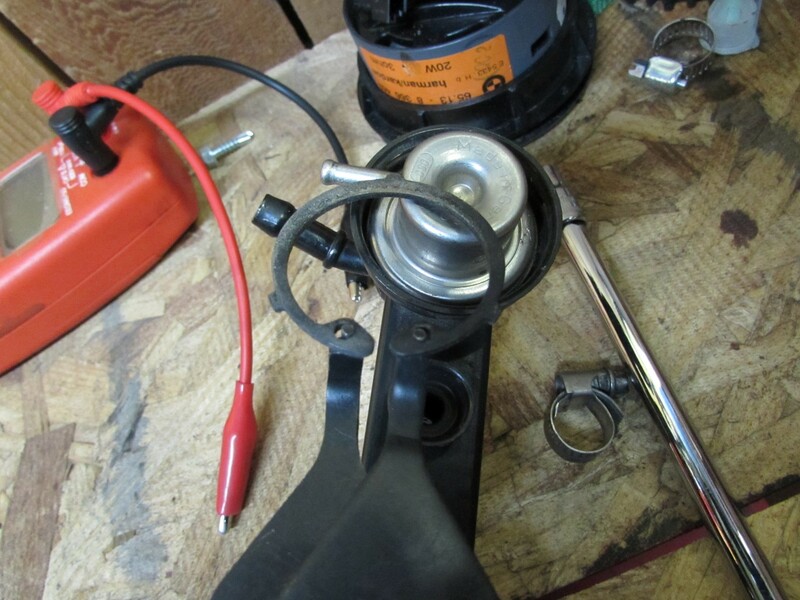 Connect the fuel supply line and regulator vacuum line. This is a next to impossible task with out removing the heater core cover. The next step is to install the electrical lines to the fuel injectors. Position the retaining clips on all six connectors in the fashion. 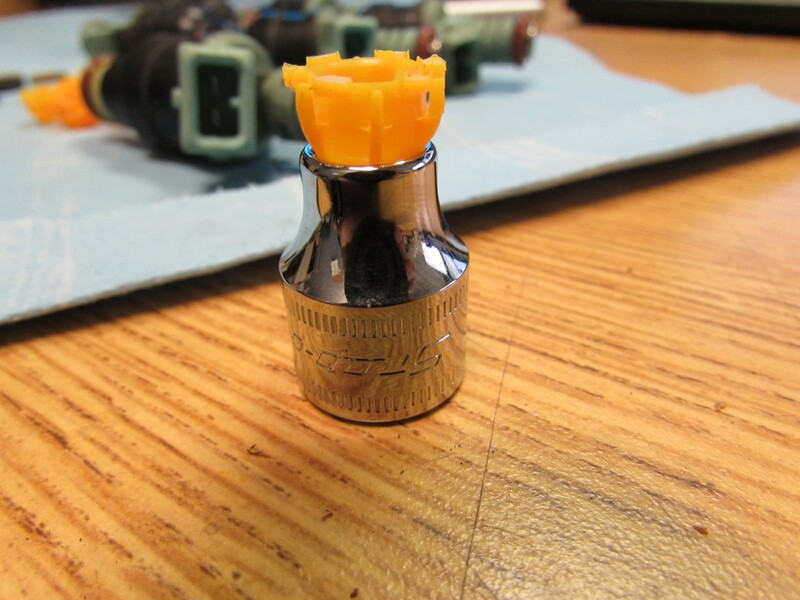 This will allow you to simply press fit the connections back into the injectors. Now is a good time to check for leaks.before we fasten the electrical connections down. 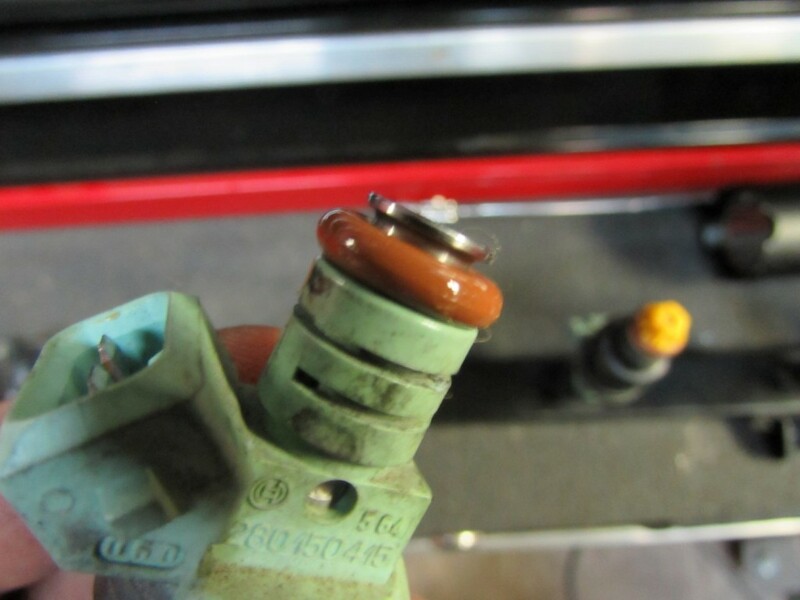 Re-install the fuel pump fuse you pulled earlier. 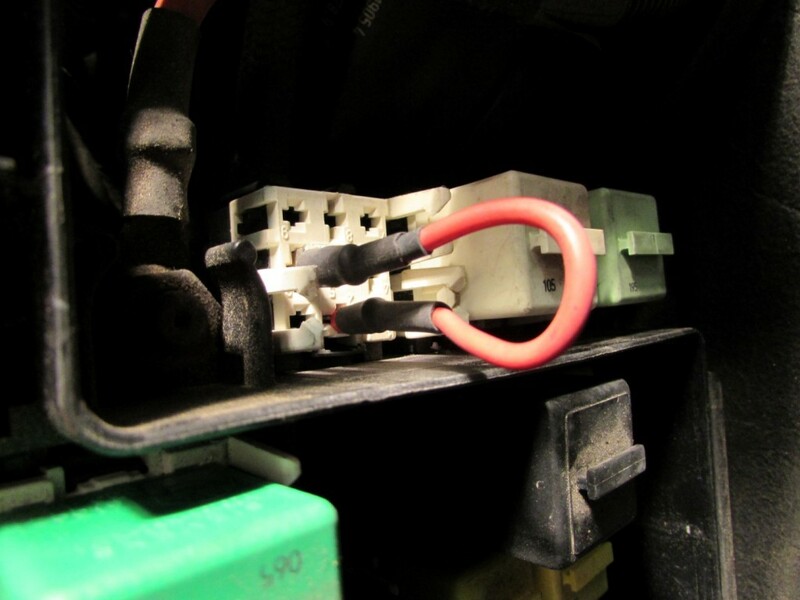 Make a little test lead with male spade connectors, remove your fuel pump relay, and jump these two connections. This will hot wire your fuel pump and put your fuel system under pressure. A bad leak will be pretty audible, you may be able to smell it as well. 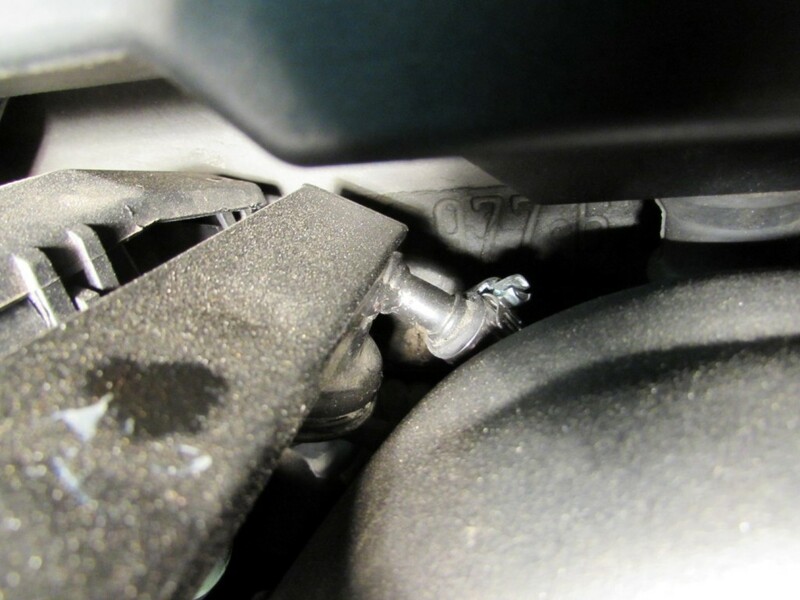 This is not the best way to check for leaks nor am I claiming it as, it’s simply a quick and easy method to check for leaks on your newly installed injectors before continuing with the installation. 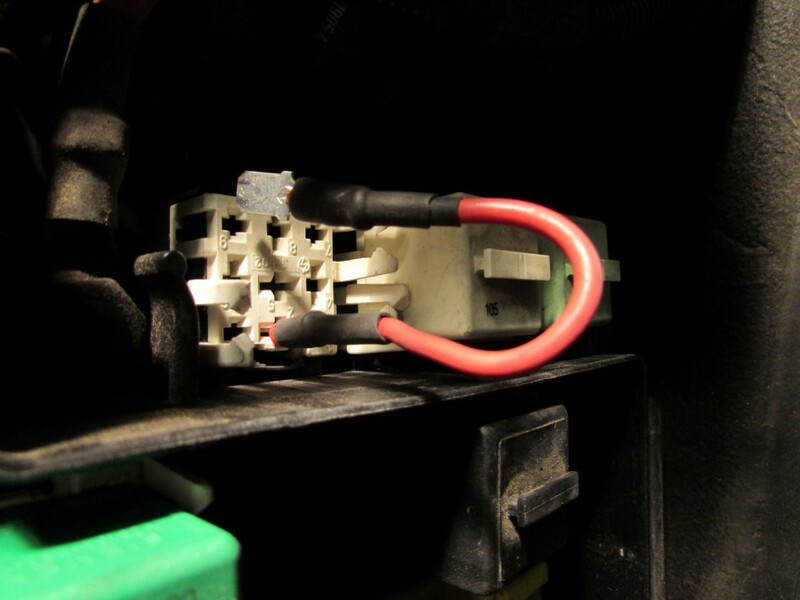 Now you can reach behind the wiring harness with you hand and fully seat the retaining clip. Thank you very much.This article answered all my questions after a lot of time spent looking in vain. 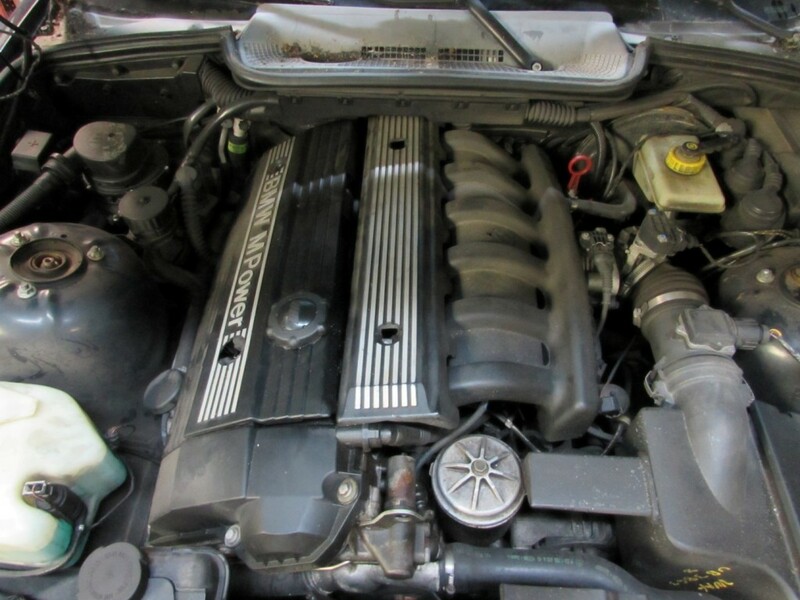 I have a problem with my e36 328i engine .It starts but when I switch it off it want start again.After about 4 hours it starts. 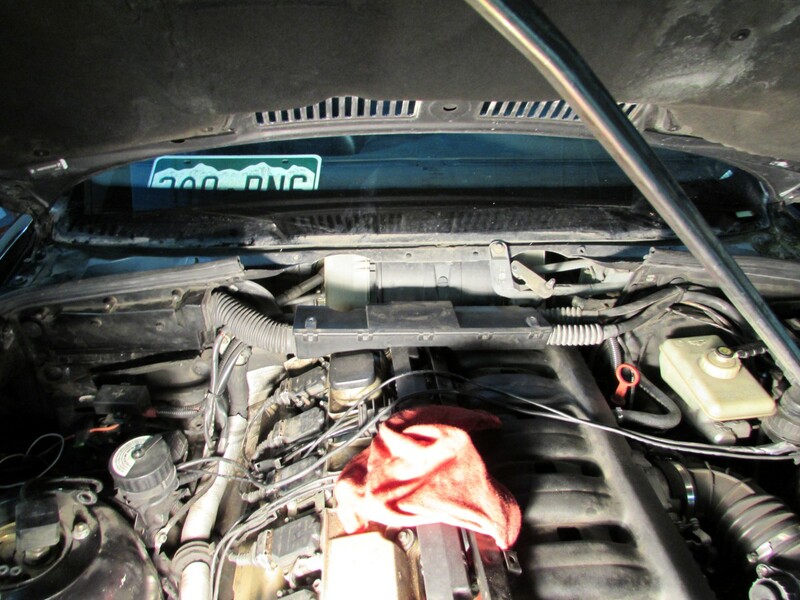 I have changed the fuel pump and filter but the problem is still there.What is the problem?